Zuma Prioritises Maths in Schools for 2017 - Is It Enough? Zuma Prioritises Maths In Schools For 2017 – Is It Enough? President Zuma has claimed that South Africa will prioritise the teaching of mathematics along side science in schools in 2017, in honour of former President Oliver Reginald Tambo. 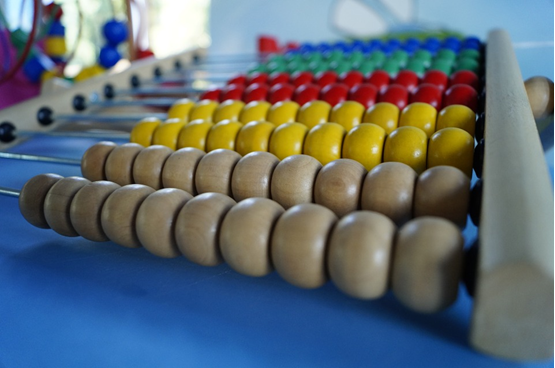 A mathematics and science teacher himself, Tambo may not have been altogether impressed with the state of mathematics education in the country, however, as results continue to place South Africa at the very bottom of global league tables. In November 2016 basic education minister Angie Motshekga proudly celebrated the fact that the latest Trends in International Maths and Science Study (TIMMS) results demonstrated that South Africa was the most improved nation in the world in terms of mathematics. What the minister’s statement didn’t allude to, however, was the fact that South Africa placed second worst in the world and ranked as the worst in Africa for mathematics. Results may have improved, but they still remain in the doldrums. In his announcement made during the State of the Nation Address in February 2017, President Zuma also referred to South Africa’s supposedly impressive TIMMS performance, stating “This is very encouraging as we don’t want our children to be left behind”. Despite claiming that this year would be the year of mathematics and science education in the country, the President gave few clues as to how studies would be improved and supported beyond the destruction of “inappropriate structures” used as schools and the erection of modern facilities in their stead. Zuma’s announcement is troubling for students, parents and teachers alike, indicating a significant lack of understanding and awareness regarding the serious deficits in mathematics education in the country. In December 2016 it was announced that pass marks for mathematics at Grades 7, 8 and 9 would be lowered to 20% in order to ensure the significant number of students who performed poorly in maths could progress to the next year, presuming they achieved higher grades in other subjects. It’s not just those connected to education who have serious concerns about the state of maths education in the country. Many now fear for South Africa’s ability to compete globally in scientific and technological fields in the future, while those in finance believe that the nation’s poor grasp of mathematics could be a contributing factor to South Africa’s personal debt problem. As one of the most personally indebted counties on the planet, South African financial awareness and education has repeatedly been shown to be very poor, a factor many believe affects the personal finances of the population hugely negatively. Many initiatives have been created to help improve financial literacy, with businesses like Wonga.co.za stepping in to provide resources for individuals in need of financial education. Surely, however, this is the responsibility of the education system and, ultimately Government. In light of the nation’s true performance in the subject, Zuma’s State of the Nation address sounds almost farcical, leaving many people very concerned that the true issue will never be tackled. Do you think Zuma should do more to boost mathematics education ? Do you think poor maths education is linked to South Africa’s sky high personal debt levels? Have your say below.